This wooden play table is just what little ones need to engage in fun imaginative play. 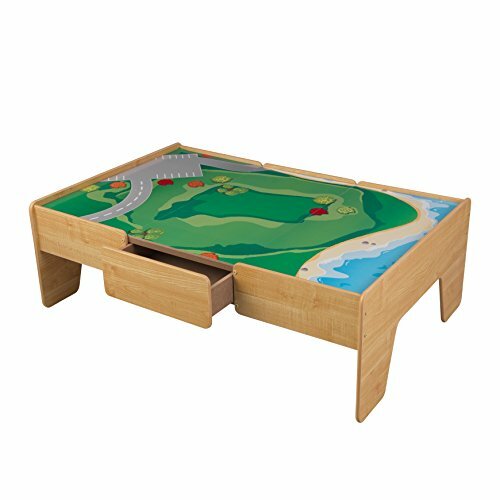 It features an expansive double-sided play board for arts and crafts or a fun landscape to build their favorite train track combination. Built in storage compartment helps keep rooms tidy after play time.